Early skills in alphabetics serve as strong predictors of reading success, while later deficits in alphabetics is the main source of reading difficulties. This article argues the importance of developing skills in alphabetics, including phonics and decoding. In addition to phoneme awareness and letter knowledge, knowledge of sound-symbol associations is vital for success in first grade and beyond. Accurate and fluent word recognition depends on phonics knowledge. The ability to read words accounts for a substantial proportion of overall reading success even in older readers. Good readers do not depend primarily on context to identify new words. When good readers encounter an unknown word, they decode the word, name it, and then attach meaning. The context of the passage helps a reader get the meaning of a word once a word has been deciphered. The Report of the National Reading Panel states that explicit, systematic, synthetic phonics (in synthetic phonics, children are taught to blend individual speech sounds into words) is significantly more effective than other types of phonics such as incidental, embedded, or whole-to-part phonics. 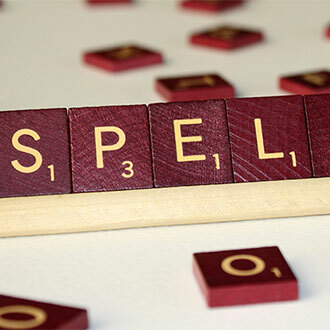 The ability to spell is generally improved with systematic phonics instruction even in children who read relatively well. Instruction in word recognition, moreover, should include not only sound-letter correspondences, but also sight words, syllabication (breaking words into syllables), and morphology (breaking words into meaningful parts). 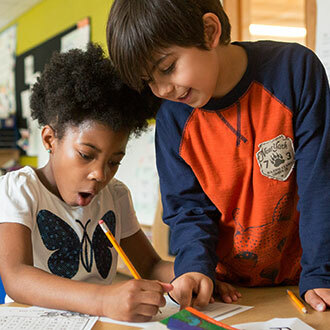 By the end of second grade, students should be able to decode almost any unfamiliar word so that they can attend to uncovering the meaning. The extent to which students will depend on explicit, systematic teaching will vary, but teachers need to be prepared to teach everyone, including those who do not learn to decode with ease. Teachers cannot teach the relationships between speech and print systematically, explicitly, and skillfully unless they themselves understand how spelling represents sounds, syllables, and meaningful parts of words. English is a predictable, albeit complex language that children can approach with confidence if their teachers present the system itself as one with logic and structure. 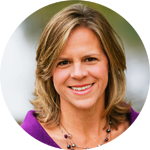 Teachers need knowledge, guidance, and practice, however, if they are to teach in a way that improves on the ineffective drills and worksheets that may have been misused in the past. National Reading Panel. (2000). 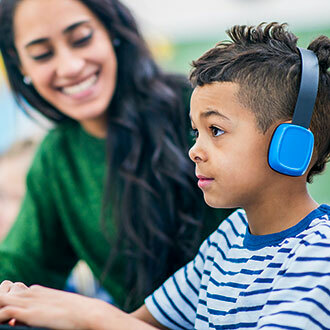 Report of the National Reading Panel: Teaching children to read: An evidence-based assessment of the scientific research literature on reading and its implications for reading instruction. Washington, DC: National Institute of Child Health and Human Development, National Institutes of Health. Snow, C., Burns, S., & Griffin, P. (1998). Preventing reading difficulties in young children. Washington, DC: National Academy Press. Moats, L. C. (1995). The missing foundation in teacher education. American Educator, 19(2), 9, 43-51. National Reading Panel. Report of the National Reading Panel. Scarborough, H., Ehri, L., Olson, R., & Fowler, A. (1998). The fate of phonemic awareness beyond the early school years. Scientific Studies of Reading, 2, 115-142. Adams, M., Treiman, R., & Pressley, M. (1998). Reading, writing and literacy. In I. E. Siegal and K. A. Renniger (Eds. ), Handbook of child psychology: Child psychology in practice (5th ed., Vol. 4, pp. 275-355). New York: Wiley. National Reading Panel. (2000). Fluency. Chap. 3 in Report of the National Reading Panel: Teaching children to read: Reports of the subgroups (pp. 3-1-3-43). Washington, DC: National Institute of Child Health and Human Development, National Institutes of Health. Beck, I. L., McCaslin, E. C., & McKeown, M. G. (1980). 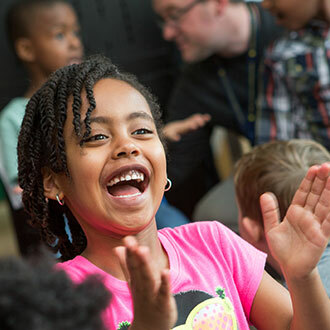 The rationale and design of a program to teach vocabulary to fourth-grade students. Pittsburgh, PA: University of Pittsburgh Learning Research and Development Center. National Reading Panel. (2000). Vocabulary instruction. Part 1 of Chap. 4 in Report of the National Reading Panel: Teaching children to read: Reports of the subgroups (pp. 4-15-4-38). Washington, DC: National Institute of Child Health and Human Development, National Institutes of Health. Beck, I. L., & McKeown, M. G. (1991). Conditions of vocabulary acquisition. In P. D. Pearson (Ed. ), The Handbook of Reading Research (Vol. 2, pp. 789-814). New York: Longman Press. Beck, I. L., McKeown, M. G., & Omanson, R. C. (1984). The fertility of some types of vocabulary instruction. Paper presented at the annual meeting of the American Educational Research Association, New Orleans. Beck, I. L., McKeown, M. G., Hamilton, R. L., & Kucan, L. Getting at the meaning: How to help students unpack difficult text. American Educator, 22, 66-71, 85. Learning First Alliance (1998). Every child reading: An action plan. Washington, DC: Author. Pressley, M. (1998). 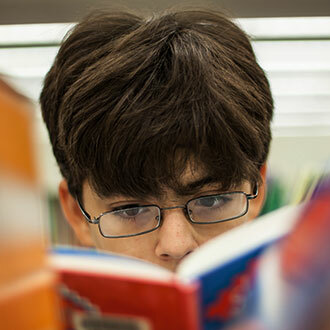 Reading instruction that works: The case for balanced teaching. New York: Guilford Press. Snow, C., Burns, S., & Griffin, P. (1998). Preventing reading difficulties in young children (pp. 80-83). Washington, DC: National Academy Press. National Reading Panel. (2000). Text comprehension. Part 2 of Chap. 4 in Report of the National Reading Panel: Teaching children to read: Reports of the subgroups (pp. 4-39-4-118). Washington, DC: National Institute of Child Health and Human Development, National Institutes of Health. Beck, I. L., McKeown, M. G., Hamilton, R. L., & Kucan, L. Getting at the meaning. Durkin, D. (1993). Teaching them to read (6th ed.). Boston: Allyn & Bacon. Berninger, V., Vaughan, K., Abbott, R., Abbott, S., Brooks, A., Rogan, L., Reed, E., & Graham, S. (1997). Treatment of handwriting fluency problems in beginning writing: Transfer from handwriting to composition. Journal of Educational Psychology, 89, 652-666. Berninger, V., Vaughan, K., Abbott, R., Brooks, A., Abbott, S., Reed, E., Rogan, L., & Graham, S. (1998). Early intervention for spelling problems: Teaching spelling units of varying size within a multiple connections framework. Journal of Educational Psychology, 90, 587-605. Graham, S., Berninger, V., Abbott, R., Abbott, S., & Whitaker, D. (1997). The role of mechanics in composing of elementary school students: A new methodological approach. Journal of Educational Psychology, 89, 170-182. Bear, D. Invernizzi, M., Templeton, S., & Johnston, F. (1996). Words their way: Word study for phonics, vocabulary, and spelling. Upper Saddle River, NJ: Merrill. Ehri, L., & Soffer, A. (1999). 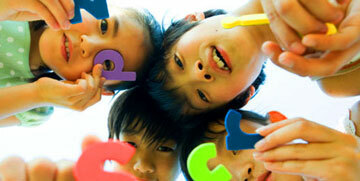 Graphophonemic awareness: Development in elementary students. Scientific Studies of Reading, 3, 1-30. Treiman, R. (1993). Beginning to spell. New York: Oxford University Press. Fletcher, J. M., & Lyon, G. R. (1998). Reading: A research-based approach. In W. Evers (Ed. ), What's gone wrong in America's classrooms (pp. 49-90). Stanford, CA: Hoover Institution Press.
' In addition to their mention in Every Child Reading: An Action Plan, these components are commonly delineated in documents such as research reviews, state standards on instruction, the Reading Excellence Act funding criteria, curriculum guidelines, and teacher instructional manuals. * Of course, as the National Reading Panel notes, "phonics teaching is a means to an end. . . . In implementing systematic phonics instruction, educators must keep the end in mind and ensure that children understand the purpose of learning letter sounds and that they are able to apply these skills accurately and fluently in their daily reading and writing activities" (Washington, DC: National Institute of Child Health and Human Development, National Institute of Health, 2000, p. 10). The panel's report also states that, notwithstanding the fact that explicit, systematic, synthetic phonics is the most effective approach, there remain unanswered questions on how to make this instruction as effective as possible. For example, the panel notes that more research is needed on questions such as how long single instruction sessions should last, how many letter-sound relations should be taught, and how many months or years a phonics program should continue. 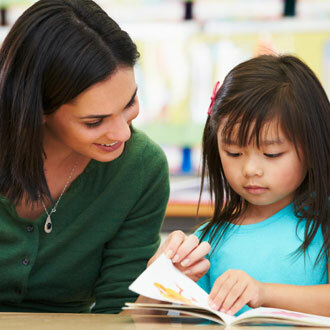 Moreover, some children will learn and appropriately apply phonics skills quickly and effortlessly, while others must be taught slowly, step by step. The individual variation in any group remains a continual challenge to teacher judgment, resourcefulness, and program management skill. * In the standardization of the Texas Primary Reading Inventory, these subtests combined predict the likelihood of success or failure with about 90 percent accuracy. * The readability of text, as reflected in sentence complexity and frequency of vocabulary, can now be assessed with software. Readability formulas tend to have more validity for children who have attained a reading level above 2nd grade than they do for those who are just beginning to read, and readability does not reflect the extent to which a text is decodable on the basis of what a child has been taught. Excerpted from: The Content of Professional Development. (November, 2000). Every Child Reading: A Professional Development Guide. Learning First Alliance. Reprinted with permission.